Dwayne “The Rock” Johnson is an actor, producer, and former professional wrestler. Born on May 2, 1972 in Hayward, California, Dwayne Johnson’s net worth is $220 million. He was named by Forbes as one of the highest paid actors in 2017, raking in $65 million that year alone. 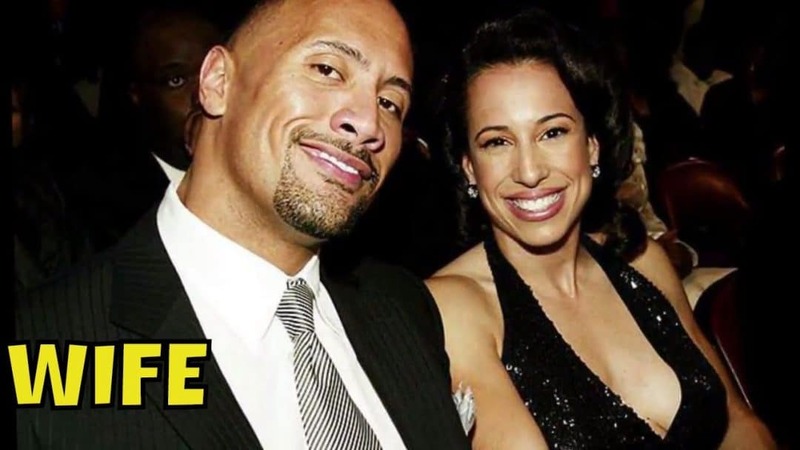 Dwayne Johnson was born into a professional wrestling family. His father Wayde Bowles wrestled under the named Rocky Johnson. His maternal grandfather Peter Maivia was a wrestler as well, and his maternal grandmother Liv Maivia was a wrestling promoter. His two uncles and several of his cousins all wrestled. So, it’s no surprise that Johnson made a career for himself in wrestling. After playing football for the University of Miami and having a brief stint in the Canadian Football League, he began his professional wrestling training in 1995. A year later, he found himself thrust onto the main stage when he signed a contract with World Wrestling Entertainment or the WWE (at that time, called the WWF). He became the company’s first-ever third-generation wrestler. Johnson wrestled under the name Rocky Maivia for his first two years (as a tribute to both his father and grandfather), before simply going as The Rock in 1998. The first stretch of Johnson’s career was from 1996-2004. He made sporadic appearances from 2004-2009 as he was starring in a number of movies during this time. He had a career resurgence from 2011-2013, but is currently again back to making part-time appearances. During his professional wrestling career, he was an eight-time WWF/WWE Champion, a two-time WCW champion, a two-time WWF Intercontinental champion, and a five-time WWF Tag Team champion. Dwayne Johnson’s net worth is astounding for a reason. Whenever he stars in a movie or television show, he gets paid the big bucks. His first role as a lead actor was in the 2002 film The Scorpion King. For this role, he got paid $5.5 million, which was a world record for an actor starring in his first lead role. All told, his movies have grossed approximately $8.1 billion worldwide. Johnson also produces and stars in the Emmy-nominated HBO show Ballers, which earns him $650,000 per episode. Johnson’s first wife was Dany Garcia, and the couple got married on May 3, 1997. Four years later, they had a daughter, Simone. In 2007, Johnson and Garcia got divorced, soon after which Johnson began dating Lauren Hashian, the daughter of late Boston drummer Sib Hashian. They have two daughters together. When it comes to his other successes, John is also a New York Times best-selling author for his autobiography The Rocks Says..., which he co-wrote with Joe Layden and published in 2000. The Rock is also a Guinness World Record holder. In 2015, he set the record for most selfies in three minutes, snapping 105 with fans outside of the San Andres premiere in London. Project Rock, another big-time business venture for Johnson, is a highly successful partnership he entered into with Under Armour in 2016. The first product sold as a result of this partnership was a gym bag, which sold out in a matter of days. Shortly after he sported the second Project Rock product, a T-shirt with his famous brahma bull insignia, at Wrestlemania 32, that product also quickly sold out. A Project Rock alarm clock app received more than one million downloads the first week of its release. Johnson also runs a production company called Seven Bucks Productions. The name is particularly significant to Johnson, because seven bucks is how much money he had in his wallet after he was cut from the Calgary Stampeders CFL team. Now, Dwayne Johnson’s net worth is one of the highest in the entertainment business, but he also makes sure to give some of that money back. In 2006, he founded the Dwayne Johnson Rock Foundation, a charity that works to help terminally ill and at-risk children. A year later, he and ex-wife Garcia donated $1 million to the University of Miami, which was put towards the renovation of the school’s football facilities. This is the largest donation ever given to the university's athletics department by an alumnus, and Miami renamed the Hurricanes' locker room as a tribute to Johnson.